Can upgrading my window glass really save me money? 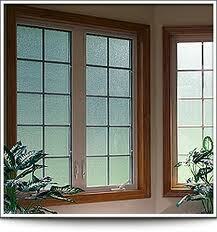 If your current windows have a single pane of “regular” glass (or even a double pane!) you are not getting energy performance you deserve. Advances in glass technology have resulted in a glass package that keeps your home warmer in winter and cooler in summer. Low-E glass(“low emission”) maximizes your home’s energy efficiency by reducing the amount of heat entering or escaping. Low-E glass has a thin layer of oxidized metal on one side, which greatly enhances the glass insulating properties. Heat and light are allowed to enter, but the thin metal sheen does not allow heat or light back out. The glass is still transparent. In addition, the multiple panes of glass in our glass “packages” are sandwiched around a sealed chamber of inert gas, either argon or krypton. These chambers further enhance the window’s ability to prevent heat loss through conduction, keeping you warmer in winter and cooler in summer. Low-E glass is the ultimate in thermal performance and energy savings! GET A FREE WINDOWS ESTIMATE! If you are considering replacing the windows in your home in St. Paul, Minneapolis or the Twin Cities area, your first step should be to call Twin Cities Siding Professionals for a free, no obligation estimate. We’ll go over your window options and help you make the right decision for the long term safety and comfort of your family. Find out how we can make your home safer, warmer and more valuable with energy efficient replacement windows. Call Twin Cities Siding Professionals at (651) 967-0873 for a FREE in-home evaluation and estimate.